Eldrick Tont “Tiger” Woods (born December 30, 1975) is an American professional golfer whose achievements to date rank him among the most successful golfers of all time. Currently the World No. 1, he has been one of the highest-paid athletes in the world for several years according to Forbes. Woods turned professional in 1996, and by April 1997 he had already won his first major, the 1997 Masters in a record-breaking performance. He first reached the number one position in the world rankings in June 1997. Through the 2000s, Woods was the dominant force in golf, spending 264 weeks from August 1999 to September 2004 and 281 weeks from June 2005 to October 2010 as world number one. From December 2009 to early April 2010, Woods took leave from professional golf to focus on his marriage after he admitted infidelity. His multiple infidelities were revealed by several different women, through many worldwide media sources. This was followed by a loss of golf form, and his ranking gradually fell to a low of No. 58 in November 2011. He snapped a career-long winless streak of 107 weeks when he captured the Chevron World Challenge in December 2011. After winning the Arnold Palmer Invitational on March 25, 2013, he ascended to the No.1 Ranking once again. Woods has broken numerous golf records. He has been world number one for the most consecutive weeks and for the greatest total number of weeks of any other golfer. He has been awarded PGA Player of the Year a record ten times, the Byron Nelson Award for lowest adjusted scoring average a record eight times, and has the record of leading the money list in nine different seasons. He has won 14 professional major golf championships, the second highest of any player (Jack Nicklaus leads with 18), and 79 PGA Tour events, 2nd all time behind Sam Snead. He has more career major wins and career PGA Tour wins than any other active golfer. He is the youngest player to achieve the career Grand Slam, and the youngest and fastest to win 50 tournaments on tour. 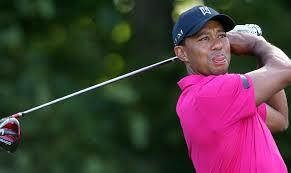 Additionally, Woods is only the second golfer, after Jack Nicklaus, to have achieved a career Grand Slam three times. Woods has won 18 World Golf Championships, and won at least one of those events in each of the first 11 years after they began in 1999. Woods is the only golfer to win The Silver Medal and The Gold Medal at The Open Championship.